Enjoy a day away from the hustle and bustle of Tokyo with this adrenaline filled day tour to Fuji-Q Highland. Breathe in the fresh mountain air and take in nature's beauty at Mt. 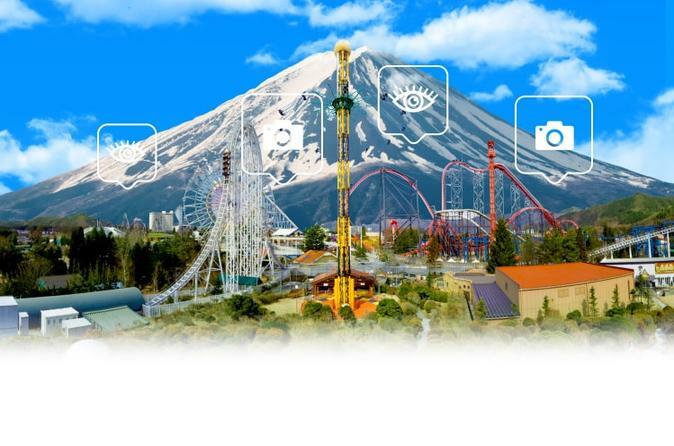 Fuji 5th Station and spend 3 thrilling hours adventuring on the many attractions Fuji-Q Highland has to offer. Your first stop is Mt. Fuji 5th Station (ETA 11:20), where you will have around 40 minutes to discover and soak in the breathtaking views of Japan. A well known symbol of Japan standing at 3776 meters high, the spectacular Mt.Fuji has made the subject of literature and art throughout Japanese history. From here, head to Fuji-Q Highland, one of Japan's most popular amusement parks and the main stop of the day. After a relaxing lunch, spend the afternoon enjoying the thrills of record-breaking roller coasters and elaborate, anime- themed rides and attractions. End the adventure by boarding the bus back to Tokyo (17:25), where you will be dropped off at either the Metropolitan Government Office parking lot in Shinjuku, Tokyo (ETA 19:10), or the Sunshine Hotel in Ikebukuro, Tokyo (ETA 19:35).